I work in IT so my understanding of these things is higher than that of a novice and part of why this issue is so frustrating. Also it should be noted that i am also posting this in Microsoft support forums to cover all bases. The Dell uses a DVI-I splitter (DVI & VGA) as it's output for monitoring devices. 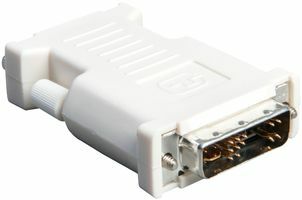 I am using a DVI (male) to HDMI (female) to connect to one of my HDMI inputs on the TV. Before I got the adapter for the DVI I was using the VGA with no issues whatsoever. However, once I hooked up the DVI to HDMI setup, it worked great until I unplugged the VGA from it's connector on the back of the TV. The screen went black even though it was on the HDMI input. I have tried updating drivers, configuring display settings, etc and nothing will allow me to run the DVI-HDMI setup without also having the VGA plugged in. If I switch back to the VGA input on the tv I see black. but if I unplug the HDMI, I can see the desktop. It's very strange, but it seems as thought the VGA display adapter takes over, which makes no sense, since the pc outputs through a DVI-I connection splitter. I have been scouring the internet for a solution and this tiny hiccup is driving me nuts. Any help that you all can provide is greatly appreciated. No such thing as DVI Splitter. 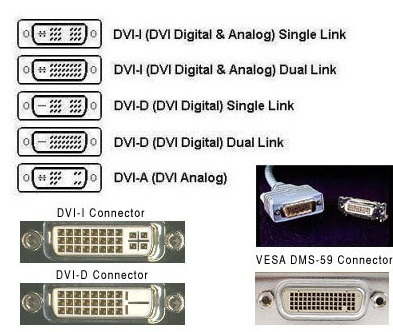 No such thing as VGA working DVI or HDMI without Analog to digital converter. DVI to hdmi works but without audio. Panasonic TV's are not supported here. The back of the machine uses a DVI-I connection that has a DVI-I plug that splits into VGA and DVI. That Plug Does NOT Split the connections it just allows you to use 1 or the other. DUAL Video Splitters are DMS 59 and have a 1 and a 2 to indicate which monitor. That plug WILL NOT GO into a DVI-Dconnector because it has 4 pins. ANALOG. It is NOT a splitter. The White Label has the Dell part number for this adapter. I thought that so long as the cable had the digital (flat) pin that it could still fit into the DVI-I connector. I have a DVI-D (single link) cable handy. Can I plug it directly into the DVI-I port on the back and scrap the DVI/VGA adapter? OR could I use the DVI-D (Dual link) to HDMi adapter and plug that directly into the DVI-I with success? Use 1 cable that is appropriately pinned. The non splitter can go into the trash bin as it is just confusing you. 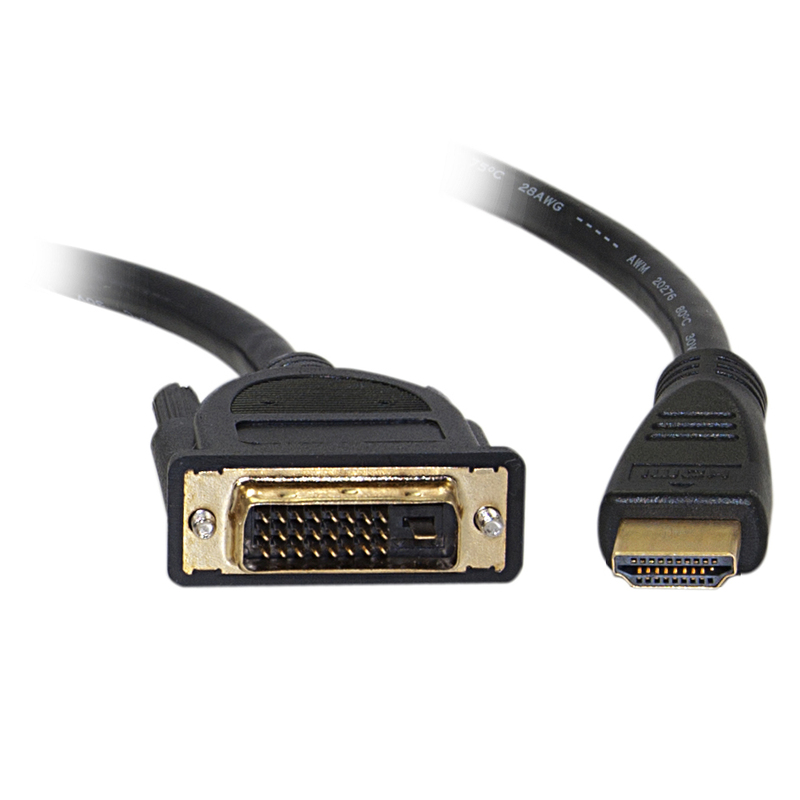 DVI-I to HDMI? Again, can I not connect a DVI-D (single link) into the DVI-I port. I intend to get a DVI-D (Dual link) to HDMI cable. Will this work?